Every year during the first week of August we celebrate World Breastfeeding Week. 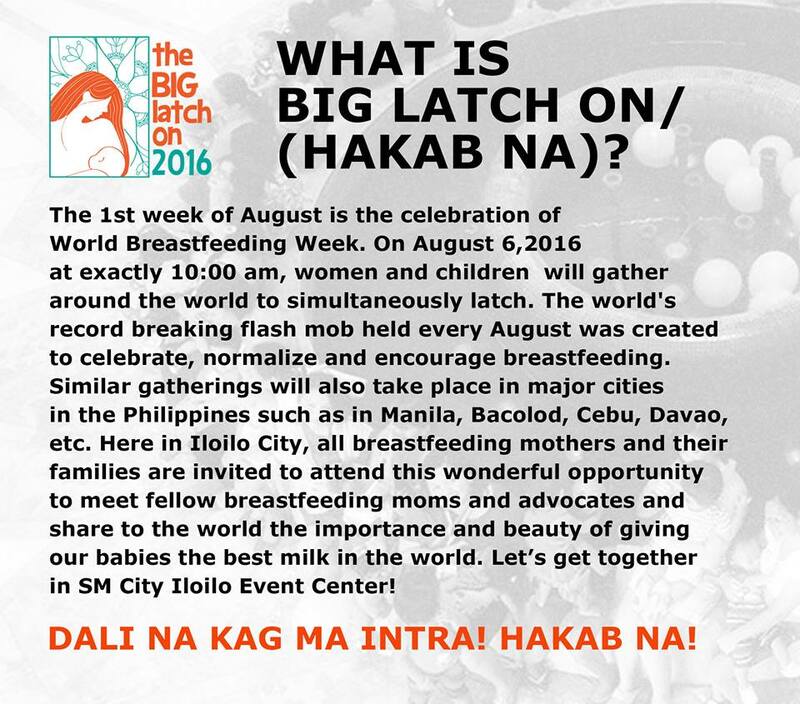 Again this year I am excited to join the Breastfeeding Ilonggas in this celebration of breastfeeding, motherhood and love at the Hakab Na! The Big Latch On 2016. 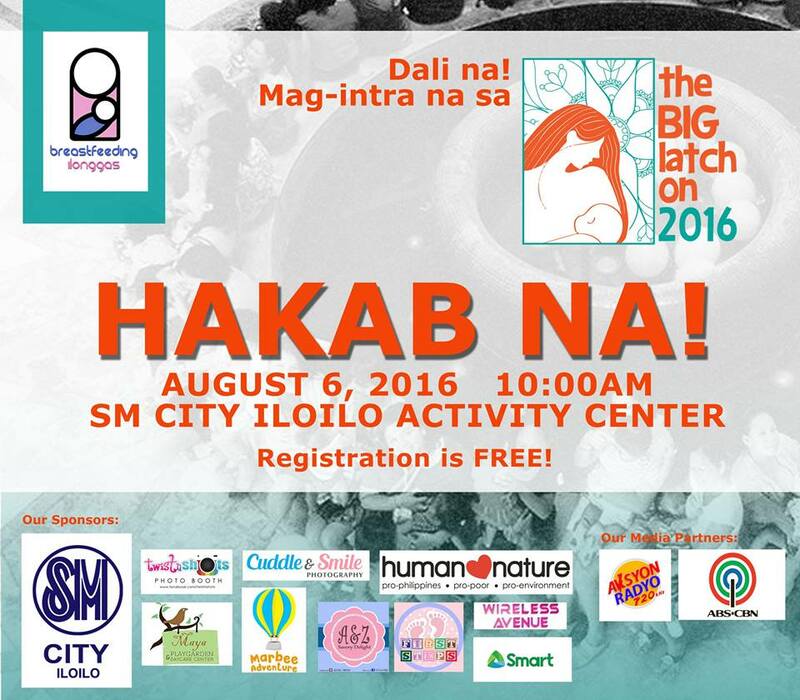 This year it will be held at SM City Iloilo Activity Center on August 6,2016 at 10:00AM. Registration is free. Last year, our family joined this event and it was a fun as well as a learning experience because we got to meet other breastfeeding advocates who are based here in Iloilo. Read my blog post about Hakab Na 2015 here. So this year will be the second time that we’ll be joining. And Renaissance will be turning 2 in August too! If you’re pregnant or already a breastfeeding mama and you live in Iloilo you can join Breastfeeding Ilonggas in Facebook. Let’s make breast feeding normal in Iloilo! Join us in this advocacy! Protect, Promote, and Support Breastfeeding.